Summer coolers may be the talk of the town now, but whoever said teas can’t cut the same deal? Especially, when Karma Kettle’s brewing flower and fruit infused iced teas. Interesting, Right? Read along to know more. Iced teas are seriously awesome things for summer. Especially if they are caffeine free and have rich fruit or flower flavours and come in cool colours. Karma Kettle just launched a new range which ticks all the boxes. 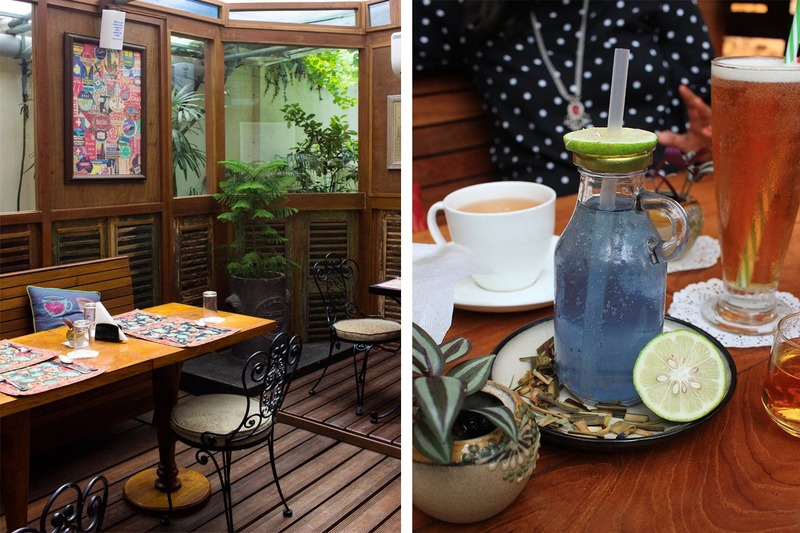 You can chill out with a glass of their Blue Lagoon iced tea which has blue lemongrass and butterfly pea flowers. Or beat afternoon monotony with the strawberry flavours of our favourite hibiscus and coxcomb-infused Scarlet Tahiti tea. If you wanna get more exotic, then give the African Rooibos tea a try – it comes infused with cinnamon and apples. If fruits and flowers don’t impress you, we suggest you have the old favourite, Lebu Cha. Brew it hot and add a pinch of rock salt to sip on a glass full of comfort and nostalgia. Also, don’t give their Nolen Gur & Khejur Cha a miss. We are in love with its nutty flavour and the sweet smell of the gur that fills our senses with the taste of Kolkata. You can have these inside their charming little tea room at Ballygunge or online. To grab a few packs, check out here.